You will find unspoilt countryside to explore, elegant cities to visit, medieval towns to discover, rustic villages with great family restaurants, sparkling clean beaches and the best food and wine in the world. With the best weather in Europe on top of all of this, Provence is understandably famous for its quality of life. 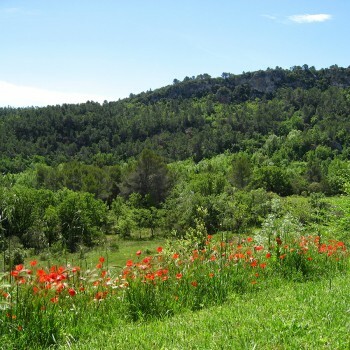 • Explore the hills and valley of our property – the olive grove, the herbs and wild flowers, the river, the waterfalls. • Go fishing, paddling in the river. 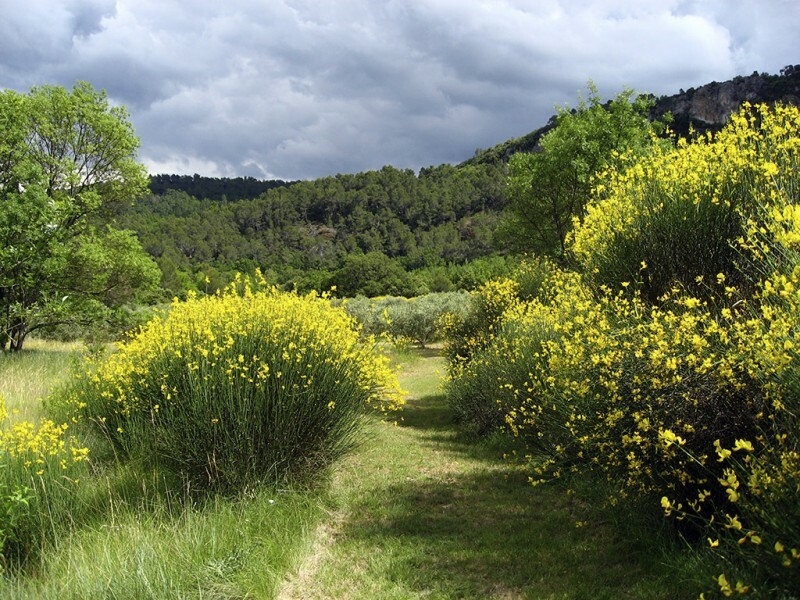 • Choose from an endless number of walks in the unspoiled countryside around us, starting from your doorstep. • Go to the local markets and rediscover what food used to taste like. • Long, lazy lunches (and dinners) outside : by the pool or on your private terrace overlooking the valley. • Lose the extra calories by cycling from hilltop village to hilltop village. • Go antique and bric-a-brac hunting at Salernes, Cotignac, Tourtour. • Explore the Gorges de Verdon, the extraordinary grand canyon just an easy drive north (or ride a canoe down it). • Visit the castle at Entrecasteaux. • Bump into Princess Caroline at glitzy St Tropez. • Learn to dry lavender. • Wildlife watching on your doorstep. We have a superb variety of wildlife : wild boar – mother and babies trot along the bottom fields before dusk – foxes, red squirrels, hawks, eagles, partridges, pheasants, a tortoise family. • Picnic in the chestnut forests outside Collobrières. • Drive to the top of Tourtour and let the Var and the Med take your breath away. • Marseille, 1 hour away, is France’s most exciting city, and home to the world’s best bouillabaisse. • Avignon, 2 hours away, retains its medieval charm with ancient cobbles, timber-beamed houses, & the extraordinary Pope’s Palace. • Go wine-tasting at the local vineyards . • Day trips to Monte Carlo, Nice, Cannes, Aix, Hyères (the islands), even Italy. Children can make a list of all the animals and insects they see, or keep a diary with drawings, lists, leaves and petals from the flowers, grasses & herbs. This will remind them of Provence when they are back home. Just read… and read… and read.